Good post Paul. I also have to be very careful of cleaning the tip. Even when using a wet paper towel to clean the dried on milk immediately after pouring my drink, and although it "looks" perfectly clean, I have to remove it from time to time as there is always a build up on the flat underneath of my tip and around the "washer". Now, it's no big deal to give a thorough clean any tips would be appreciated. 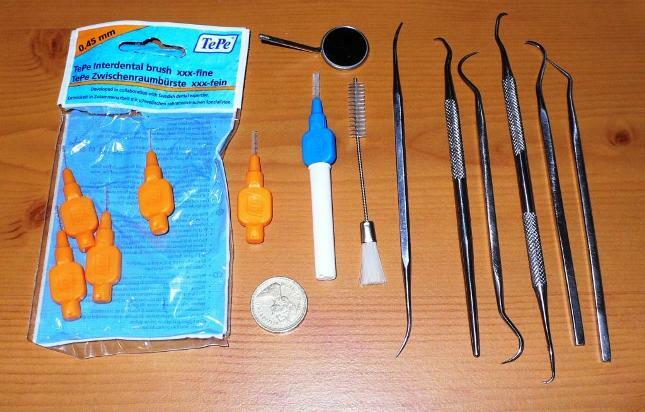 This small kit can be purchased for less than £15 and I have found it comes in very handy for all sorts of little jobs. The dental picks make removing the group gasket really easy, bottle brushes are great for cleaning all sorts of very small pipes, tubes, valves and other orifices.